A microclimate that began a mere 20 million years ago, is nothing short of a miracle. Tectonic plate movements over the years caused mountains to rise out of the ocean, break off the plate and rotate clockwise creating one of the most defined transverse ranges on the Pacific Coast. Remnants of marine sediment deposited during the Miocene Epoch is the base of the soil found here with the added element of elevated calcium. But what makes this area truly unique is the purely East/West maritime mouth that funnels cooling coastal fog, and wind to the vines. One of the smaller AVAs in California, Sta. 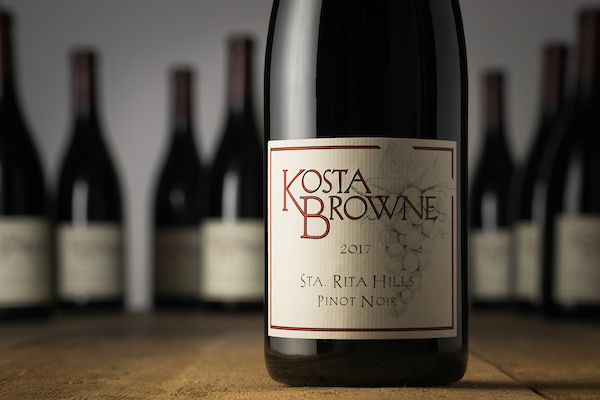 Rita Hills is one of the world’s best cool-climate growing regions of Pinot Noir. Nose: Soft and elegant with aromas of lifted red fruits; rhubarb and sour cherry. Notes of lemon zest and crème fraîche. Mouth: Compelling and bright with high energy. Structured, layered tannins backed with slight minerality. Thoughtful, layered oak undertone.